All parents seeking a Christian education for their children are invited to apply for a position at Caloundra Christian College. Student enrolments are based on the understanding that families, together with the College, share a common desire and outcome for their children. The College retains the right to offer or withhold offers of enrolment, without assigning a reason. Decisions are based on what the College believes is in the best interests of the student and College community. Our friendly Enrolments Team are more than happy to speak with you and to answer any questions about the College prior to you engaging in the enrolment process. Have a read through our Prospectus or come along to one of our Open Events where you can experience everything our College has to offer. 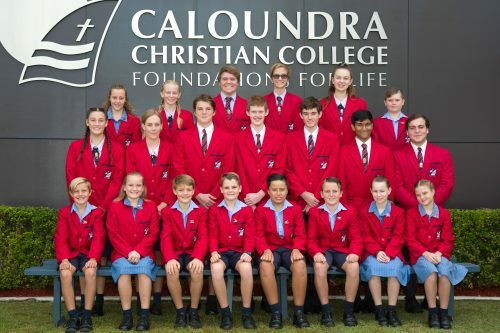 We would love to show you how Caloundra Christian College can help nurture your child’s uniqueness to help them reach their true potential – academically, spiritually and personally! To arrange a College tour, please visit our Tour Booking Form. Alternatively, please contact our Enrolments Team on 07 5436 6777 and we can arrange a time over the phone for you. Copy of your child/rens: Birth Certificate, latest school report/s, Year 3,5,7 and 9 NAPLAN test results (where applicable) and any other documentation which will assist us in determining how we may provide the right educational experience for your child. Receipt of an Application for Enrolment does not guarantee a placement or an offer for a placement for your child. Once we have received your application, it will be reviewed and assessed by our College Enrolment Committee. Our Enrolments Team will contact you, and let you know if your application will be eligible to progress or whether you will be placed on our waiting list. Upon receipt of all information and the application fee, we will arrange for you and your child/ren to attend an interview with the Principal or respective Head of School. An interview does not mean a place will be offered. Following the interview, if successful, a letter of offer will be sent to you along with an Enrolment Contract. To secure your child’s place, please send the completed Enrolment Contract with the $300 enrolment fee to the College within the specified time period. Once we receive your Enrolment Contract and enrolment fee, you will be notified of commencement dates, orientation days (if applicable), uniform fittings, and other pertinent details which will assist your child’s transition into our College Community.